United Sikkim Football Club conceded yet another last minute goal and Yusif Yakubu yet again turned out to be Mumbai FC's saviour as the two teams split points after a 2-2 draw at Paljor Stadium, Gangtok, on Wednesday. 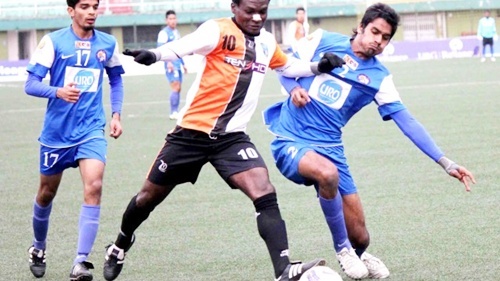 Yakubu had given Mumbai FC the lead in the 10th minute but United Sikkim responded with two quick goals in the 15th minute and 17th minute through Nadong Bhutia and Linekar Machado. 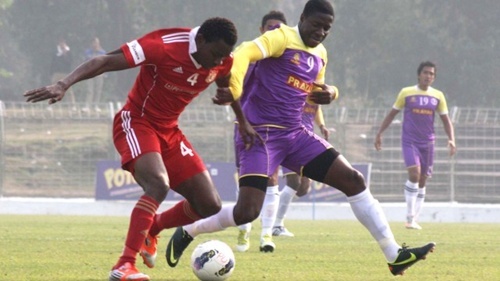 Having being outplayed for most periods of the match played in almost freezing conditions, Mumbai FC was rescued once again by Yakubu in the final 40 seconds of added time. This is for the fourth time in I-League and second successive match that the Gangtok side club has let in a goal in injury time. "That's why we have roped in Yakubu in our side. Everyone was saying that he has passed his prime but we know what he can do. We need an experienced person to guide our young players and Yakubu is the right person", said Mumbai FC manager Henry Picardo. United SC struck twice in the second half to blank Pune FC 2-0, ending a six-match winning run for the visitors in Kolkata. After a goal-less first half that saw Pune FC dominate the proceedings, United SC brought the turnaround through a superb Lalkamal Bhowmick goal in the 68th minute, while Ranty Martins completed the tally in the 85th minute. 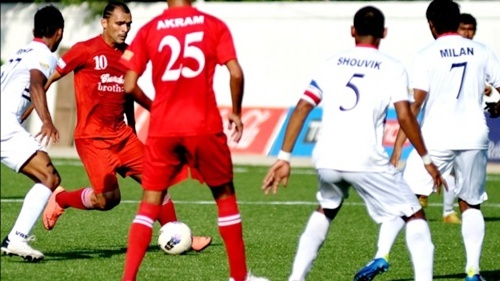 Having pocketed a second straight win, with their last one coming against defending champions Dempo, the Eelco Schattorie-coached side climbed to the top five in the table with 20 points. For the otherwise consistent Pune FC (28 points), it was their first loss in nine matches as they missed a fine chance to consolidate their position atop the standings. Henri Antchouet scored two goals and created another one as Churchill Brothers Sports Club staged a splendid rally to edge out Pailan Arrows 3-1 at the Duler Stadium, Mapusa. After a barren first session, Prathamesh Maulingkar gave Pailan Arrows a stunning lead in the 56th minute but within the next eight minutes, Pailan Arrows crumbled in the face of some sustained onslaught from the opposition. Gabonese striker Henri scored two goals in three minutes and then Israil Gurung added his name to the scoresheet as the hosts won the second match on the trot at Duler's artificial turf. The win helped Churchill take the sole lead with 31 points from 13 matches while Pailan Arrows were stuck to the eighth spot with 14 points from as many matches.